Our PAS 2030 Accreditation went really well and we passed on the day. 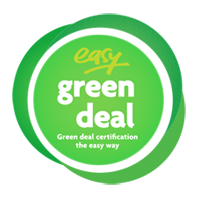 Thanks for all the time and effort from everyone at Easy Green Deal in assisting and supporting us with the process of gaining Green Deal Accreditation. Now for the GDAO! The Easy Green Deal QMS & support programme is a very comprehensive and robust solution. We have now completed audits on over 70% of potential GDAO’s (Green Deal Advice Organisation) using the Easy Green Deal QMS & support, and the results are consistently impressive. Last week we audited a system in under two hours, the GDAO was well informed and as a result of Easy Green Deal has saved hundreds of hours in getting prepared to participate in the Green Deal. Bingley based Thermaroof Coatings Ltd have recently achieved Green Deal Installer Approval to take advantage of the increase in demand for energy efficiency improvements under the Green Deal & ECO. Thermaroof Coatings are a family run company based in West Yorkshire and offer a range of range of Green Deal Measures including; Gas Boilers, Heating Controls, Heating System Insulation, Solar PV and External Wall Insulation. Bev Pheelan, Office Manager for Thermaroof Coatings comments “We decided to become a Green Deal Installer as we could see the Green Deal & Energy Company Obligation were going to lead to increases in demand for the range of services we offer. Choosing Easy Green Deal to support us in achieving approval was a straightforward decision as their reputation in the industry is unrivalled”. Bev continues, “The mentoring we received throughout the process and continue to receive was superb. Our mentor was always available when needed and on the odd occasion when unavailable, another mentor was able to pick up our file with all our notes and carry on with our support. The Easy Green Deal support & QMS were excellent and the mentors ie. David & staff were a pleasure to deal with and very supportive. The overall service was excellent and we would highly recommend Easy Green Deal. Our Mentor David was excellent with good response times on all our queries.